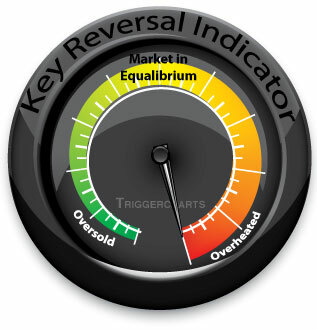 The overall market, as measured by the KRI algorithm, is extremely overheated. This generally indicates that a shorter-term reversal of trend is imminent as the market has become quite frothy and sentiment is heavily skewed toward bullishness. Look for the market to sell off sharply over the next few days before potentially resuming the uptrend.